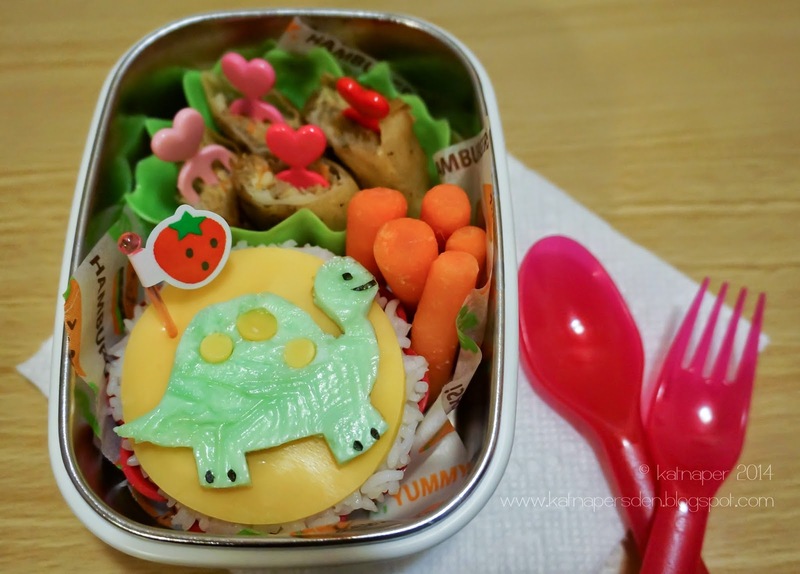 I thought I'd do one of the coming themes from Bento Blog Network so I made the Kiddo a Dinosaur bento. Its inspired by a cupcake with a fondant dinosaur design but my version was made using rice, cheese and an egg sheet. I placed some rice on a silicone cupcake container, put a sliced cheese on top then shaped a dinosaur out of an egg sheet, added cheese and nori details and viola! A dinosaur 'cupcake'. I cut up some spring rolls and added carrots to complete it. She also got a small cupcake brownie for her snack.